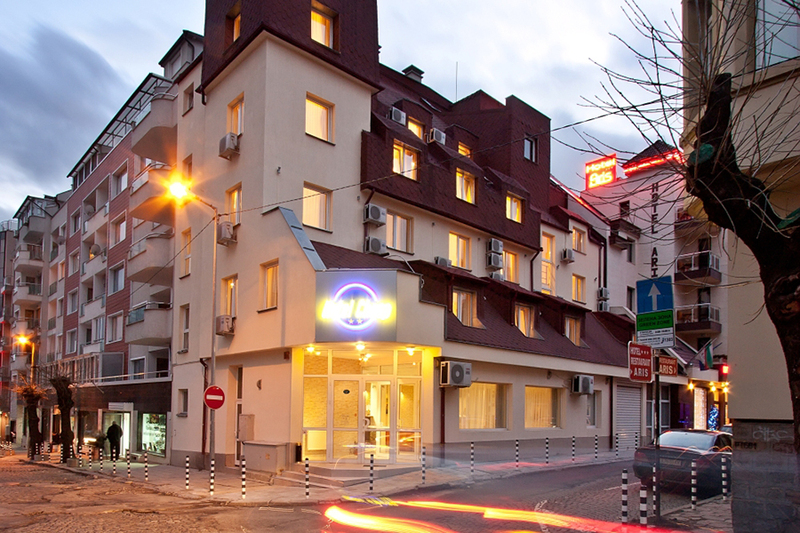 The new-founded hotel “Cheap” is a city hotel, positioned on one of the main communicating places in the capital, at the same time the street is quiet, which allows a complete rest in a dynamic surrounding. 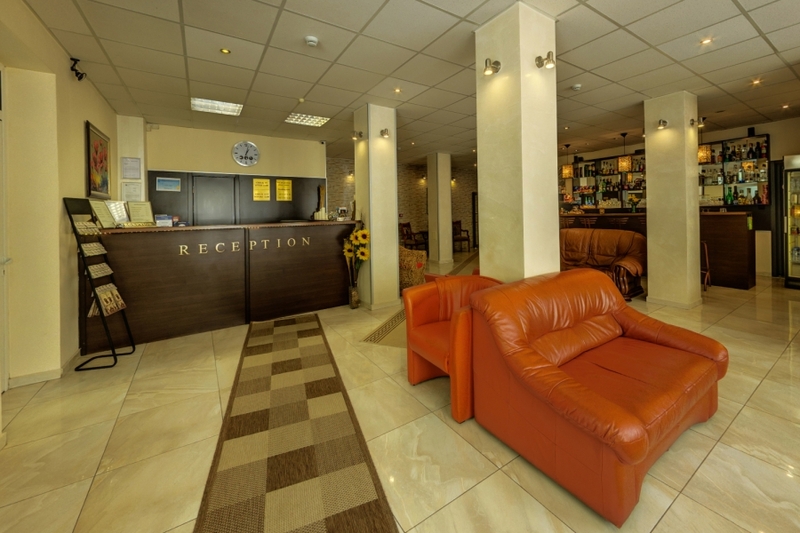 The hotel is really close to the Central Railway Station, Central Bus Station and metro station “Lion Bridge” (Lavov Most) and all the key stations In the city, which makes it comfortable for you to finish your duties no matter in which part of the city they are. 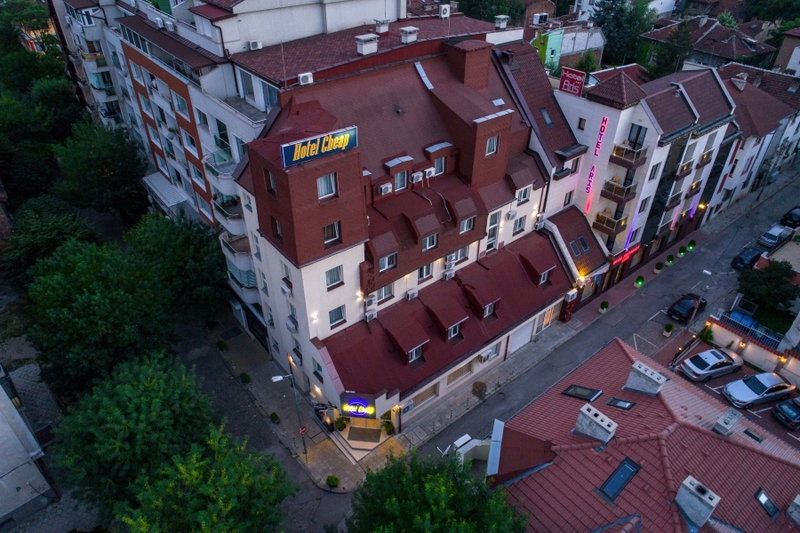 Close to us is the famous trading boulevard “Vitosha”, popular national sights, banks, state institutions, restaurants and lots of places for entertainment. The whole capacity of the hotel is 40 people, which makes it suitable for big retention for personal or company parties, educations, seminars, and group activities. For that reason the hotel has a functional hall which is used for different arrangements, the hall is with capacity of 25 people. Also at your service is a lobby bar, where you can enjoy selected drinks and plan your vacation in the city with the help of our kind personnel. Our well experienced polyglot staff is helpful and competent in all questions that may occur during your stay in the city. 24 hour video surveillance system in the main parts of the hotel and a modern fire security alarm, provides our guests with the safety they need. Triple rooms are furnished with double comfortable bed and a single one /depending on the guests choice all of the beds could be separated/, refrigerator, air conditioner, satellite television /with 68 channels/, work desk, heating system with individual regulation of the temperature, telephone , free wireless internet /Wi-Fi/.Every room has a bathroom with all of your possible needs. The luxury double rooms in our hotel are furnished with a big double bed or two separated beds /depending on the guests choice / . Every one of those rooms includes a sitting corner with soft leather furniture with a short table, refrigerator, air conditioner, LED TV + satellite television /with 68 channels/, work desk, heating system with individual regulation of the temperature, telephone , free wireless internet /Wi-Fi/. Every room has a bathroom with all of your possible needs. In this type of rooms there is a possibility of placing an extra bed. 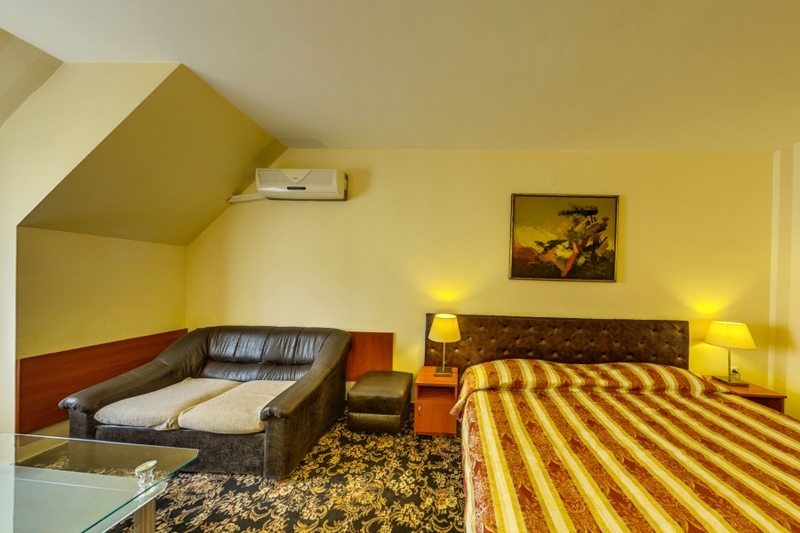 Our double rooms are furnished with a double comfortable bed /joined or separated, depending on the guests choice/ , refrigerator, air conditioner, satellite television /with 68 channels/, work desk, heating system with individual regulation of the temperature, telephone, free wireless Internet /Wi-Fi/. Every room has a bathroom with all of your possible needs. This type of rooms are offered for single or double use.